“It’s back! The annual, epic return of Brodown Throwdown 6! 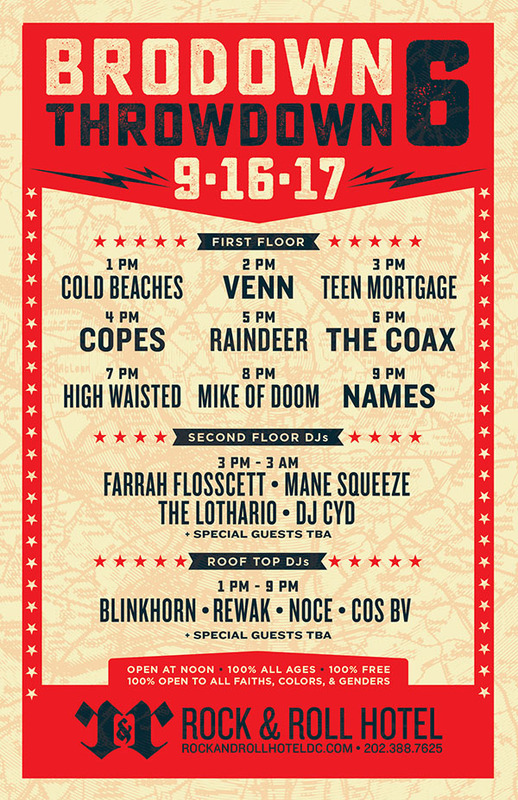 Brodown Throwdown is Rock & Roll Hotel’s all day party during H Street Festival, which is this Saturday September 16th! 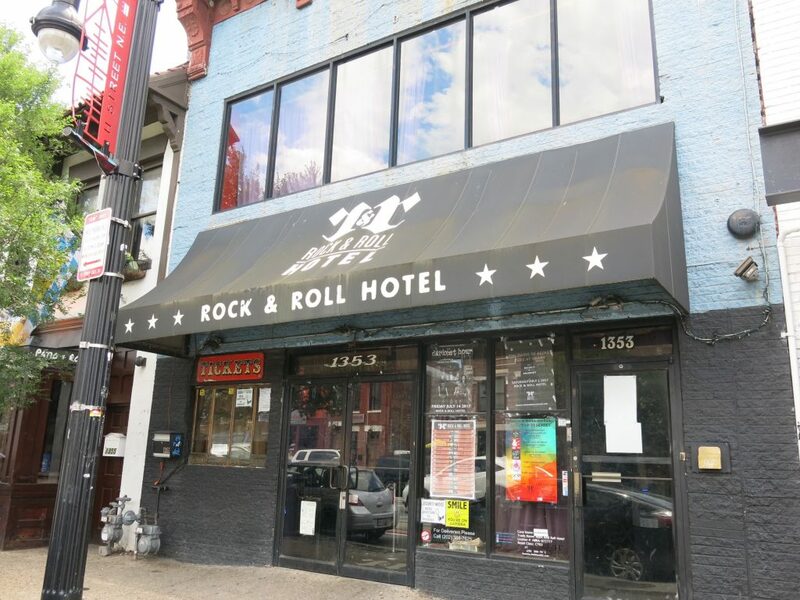 Every H Street Festival, thousands of people make Rock & Roll Hotel their destination spot because we’ve been hosting the party to be at for six years in a row. Our concert hall has live bands performing throughout the entire day and night, and DJs on the second floor dance hall and rooftop bar as well. We’ve got a ton of drink specials on all three floors and best of all, admittance is free.